Rachel van Leer was a daughter of Leman van Leer and Vrougje Roos. She was born in Drachten on the 21st of December 1890 and was married to Philip Zwarts (born in Raalte on the 2nd of April). 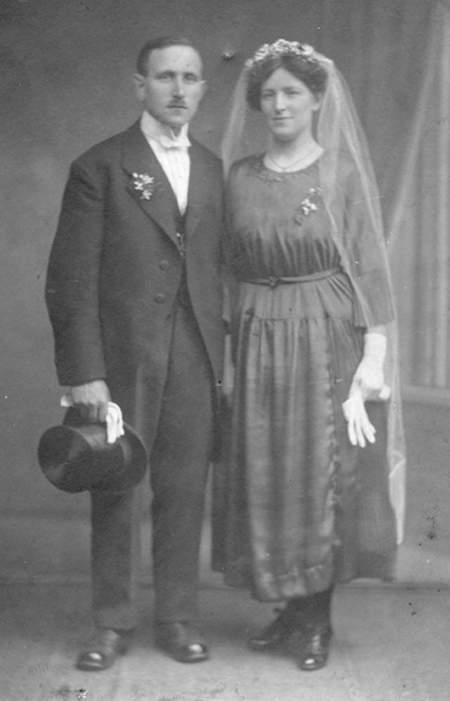 There is only one photograph left of their marriage, which probably took place in Drachten, taken by the famous photographer F. W. Comello from Drachten. They look a little shy, but with hope for the future. It was not to be like that. The wedding photo of Philip Zwarts and Rachel van Leer. Philip was a butcher, like many of his relatives who lived in Meppel. They worked at the Jewish slaughterhouse for exporting meat, the firm of Van der Sluis, on Ezingerweg. 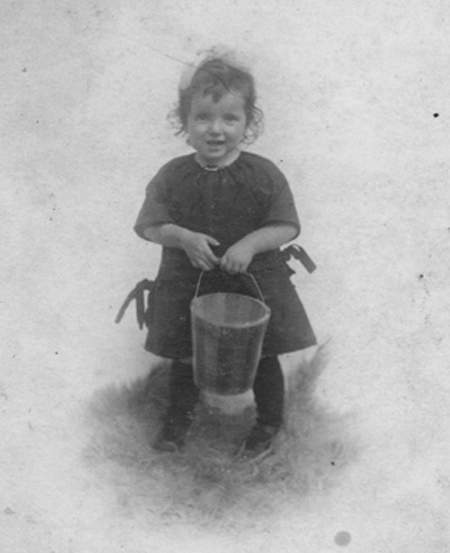 They had two daughters: Dina (born on the 15th of March 1922) and Vrougje (named after her grandmother), who was born on the 29th of August 1925. During the War, Vrougje was unemployed and Dina worked as an office clerk. 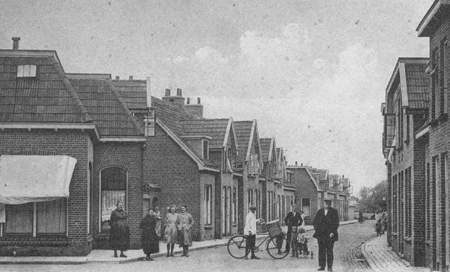 The family initially lived on Vledderstraat and later on Bankastraat. Why there was nothing, is not a difficult guess. The word ‘this afternoon’ mentioned in the letter, says it all. From the end of June 1942, Jewish housewives were only allowed to do their shopping from 15.00 hrs to 17.00 hrs. A most annoying measure, because most goods were sold out by that time, as it appears from Rachel’s words! The whole family was taken from their house (Philip was home on leave at that moment) to the station in Meppel, destination: Westerbork. That part of the journey was by passenger train, but their train journey to Auschwitz, six days later, was considerably less ‘luxurious’. Cattle trucks were used by the Germans! Rachel, Dina and Vrougje died on the 12th of October 1942, Philip died only on the 31st of January 1943, also in Auschwitz. As it was customary that whole families were deported from Westerbork, it may be assumed that Philip was put to work in Auschwitz or at a satellite camp in the area.